Shae Hopkins is the Executive Director and Chief Executive Officer of KET, Kentucky Educational Television, and oversees a statewide network with three production facilities and 16 transmitters that reach more than 5.5 million people in eight states, as well as an extensive digital education service utilized by every school district in the commonwealth. KET is a national leader in local content and educational resource production, including early childhood, P-16, teacher professional development, adult education, and adult literacy. 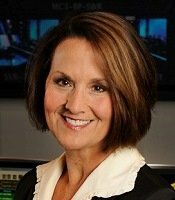 A 31-year veteran of KET, Hopkins served in progressive management positions, including Deputy Executive Director, where she was responsible for day-to-day operations and oversaw the development of a wide range of content and production, as well as the network’s digital transition for production and distribution systems. She previously led KET’s private fundraising for more than a decade and was the founding president of the Commonwealth Fund for KET. Hopkins has been recognized with various industry awards, including the 2011 National Advocacy Award from the Association of Public Television Stations. She is active in several public media organizations, including the National Educational Telecommunications Association (NETA), Organization of State Broadcast Executives Board (OSBE), and the Public Television Major market Group. Appointed by U.S. Secretary of Education Arne Duncan to the inaugural board of Digital Promise (National Center for Research in Advanced Information and Digital Technologies), Hopkins also serves on Collaborative Center for Literacy Development Advisory Committee, Kentucky Blood Center Board of Directors, and the University of Kentucky College of Communications and Information Studies National Advisory Board. Ms. Hopkins is Chair of the PBS Nominating and Corporate Governance Committee and serves on the Executive, Finance, and Corporate Support Advisory committees and on the Member Services Access Working Group.